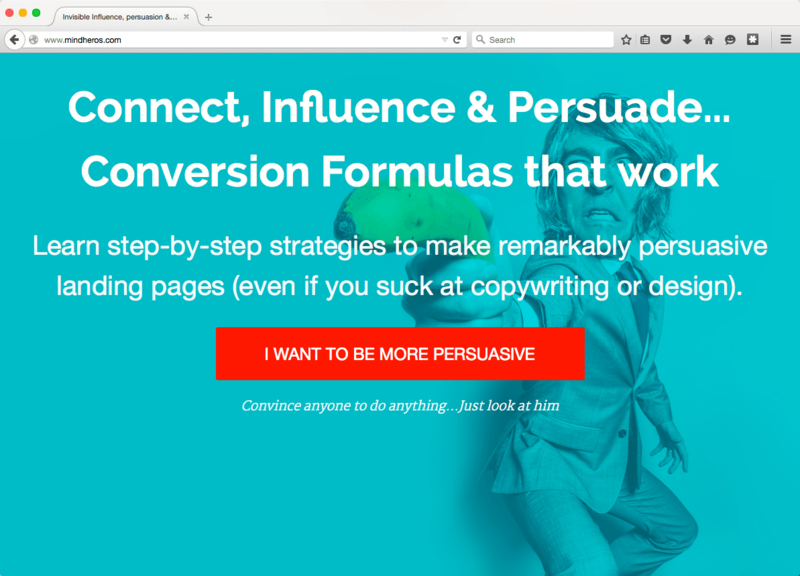 So what the He** is a landing page and what makes it so special? They come in 2 flavors. 2. The lead capture style – Visitor enter their info, option to your email list, you market to them later. Typically the page offers a download, pdf, ebook, video etc… to “bribe” the visitor to enter their email. Mostly we’re going to be talking about #2. Because it gives you an opportunity to do something special- you’ll see in min. Why is a landing page so important? 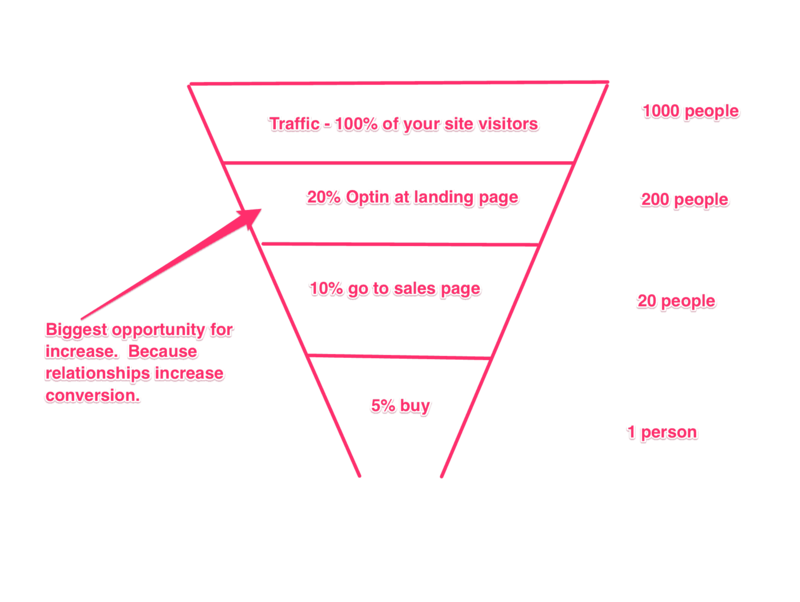 Lets take a quick look at this sales funnel so you can see the answer for yourself. That page in the circle- You guessed it, that’s your landing page. It’s the filter through which most people will (or should) see your site. It starts your relationship & your story with the customer. It’s the first impression. And because of that it is the MOST important page on your site. You know that first impressions are important. 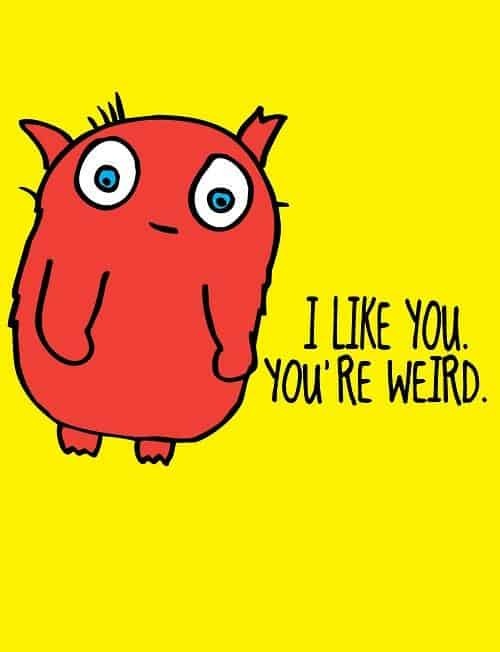 It only takes 1/10th of a second to form a first impression about a person. It’s a whole site based on the importance of a first impression. It takes even less time, about 50 milliseconds (that’s 0.05 seconds) for users decide if they like your website. We make snap decisions. We like it or we don’t. Stay on the site or leave. And mostly we have no idea why. Rational or not, we stick by our first impressions because of confirmation bias. We unconsciously try to mold and twist new information in way that confirms our previous ideas. That can be bad news bears. If someone has a bad first impression of your site, it takes A LOT to win them over. Online you usually don’t get the chance. Once they’re gone – say Adios forever. Still, I know that someone is going to tell me that the sales page is the most important. So lets take a quick look and I’ll show you why it’s NOT. But still only 1 person buys. So isn’t the sales page the most important page? Because people who like you and know you will buy more from you. And they ONLY get to know you and like you after signing up on your landing page. That’s is the critical piece that the simple math doesn’t take into account. That’s so important that I’m gonna say it again. 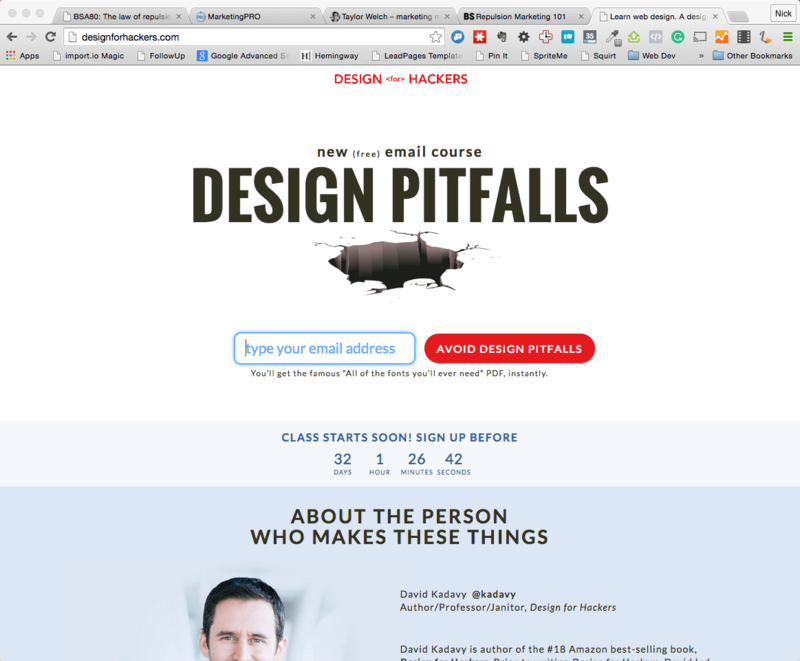 IF you get people to signup for your emails, they get to know you, like you and trust you. Then they buy. All because of the relationship that started on a landing page. Trust isn’t built in a day. It takes time. Want to drive purchase rates up without touching your sales page? Get more people to signup for your emails. Start building a relationship with them. The relationship, over time, gives you special status. It can even allow you to skip the “normal” sales funnel. When you’re a trusted voice, here’s what your funnel could look like. Marketers like Bryan Harris, Ben Settle, Noah Kagan, Perry Marshall and more have used this tactic. It works because they have built such great relationships with their lists. Imagine how powerful this could be if you implemented this same strategy in your business. What’s even better is that it can only compliment ANYTHING you’re already doing. And It all starts with your landing page. 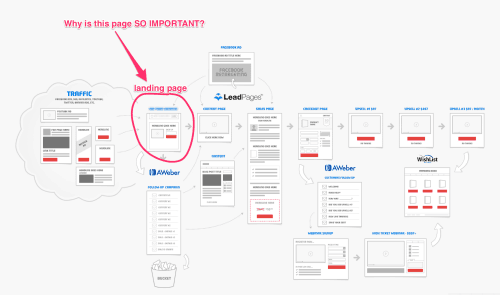 Landing pages are especially important for you if you’re not a marketer. He said that about marketing in general. And it applies even more so, to a landing page because it’s condensed version of your marketing story. The obvious purpose of the page is to collect opt ins to you email list. And ultimately to help people. But only a certain kind of people. Your people. Your tribe. If your landing page is doing a good job will not only attract subscribers, but it will also repel the riffraff. 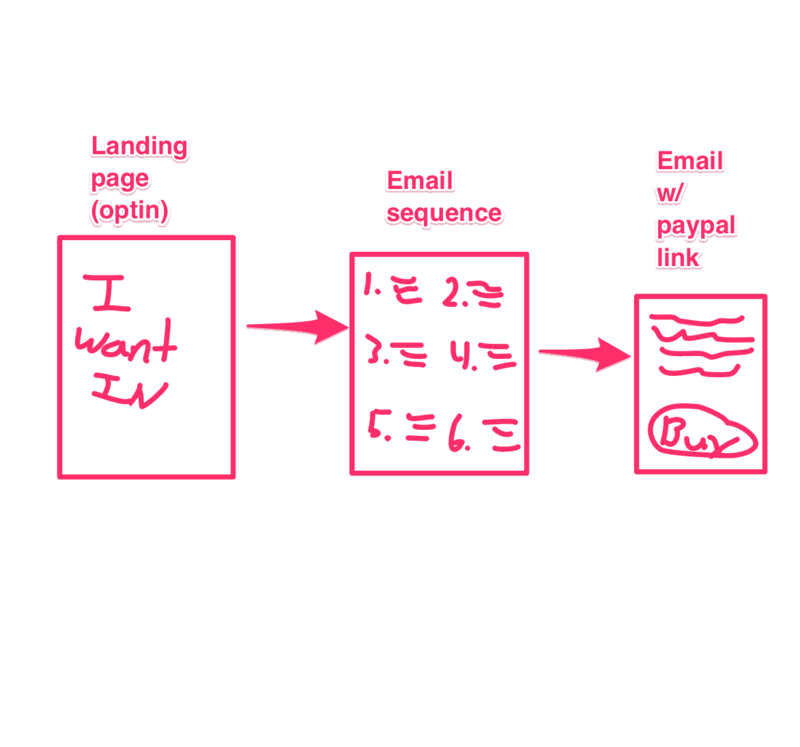 The 2 jobs of a landing page. Up till now we’ve been talking about how important the landing page is, to start the conversation and the journey with your potential customers. Equally as important is to cull the herd. You don’t want everyone as your customer. I certainly don’t. I remember working as a lowly peon taking orders and doing general customer service. It felt like we’d have customers whining and complaining ALL THE TIME. But the truth is that the whiners and the PITA people were probably only 2% – 5% of our customer base. The rest were really cool people and great to work with. The 2% took 50% of our time. They were terrible and nasty. Demanding refunds, free product, discounts etc… Didn’t matter if it was our fault or not. They would yell and we would have to kowtow to them. I had no choice whether we kept them as customers. It was my job to try to make them happy. Wouldn’t your energy be better used serving customers who like you and your product? By eliminating the whiners UPFRONT you save yourself time, energy and money. 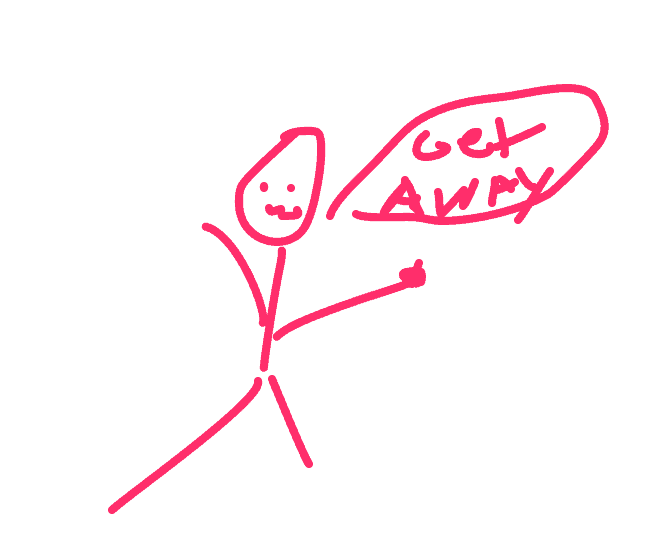 The second job of your landing page is to DRIVE PEOPLE AWAY. To repel people that you don’t want as customers. Most great artists have this quality. They’re polarizing. Because they repel certain types of people, they actually draw in more of their tribe. And their tribe feels more of a connection to them. Rick Rubin is the former co-president of Columbia Records. And co-founder of Def Jam. Basically a very successful guy. Also he looks like scary mix of half santa-clause look alike crossed with dirty bike gang enforcer it’s a pretty sweet juxtaposition. Limbaugh and Stern take the idea to an extreme. And that can be ok. Certainly was for them. You don’t have to go that far. But, by the design of your page and the copy. You can tell people who your page/site/product is for and who it’s NOT. This is among my favorite landing pages. Is it controversial? No. Is it really extreme? No. But it’ll make you think twice if you’re not a developer… Should I be here? Is this for me? And the answer is probably no. It’s not for you. His end product may work for you. But it’s not tailor made for you UNLESS you’re a hacker, a coder, or a developer. David let’s you know it. Result? Taking an educated guess… Maybe lower opt ins because not everyone will subscribe because of what we just talked about. But the ones that do will be his people. We’ll be getting into specific strategies soon enough. But if you loose sight of the purpose of your landing page. Nothing else matters. So how do you want your audience to see you? How will you make sure to attract and repel the right people. And what can you do to help them?